Each year humans produce around 300 million tons of plastic and a considerable amount of that ends up in the ocean. It is not just the large plastic pieces that pose a threat to the marine life, but the microscopic pieces as well. However, in a recent measurement of ocean waters around the world, scientists found surprisingly less microscopic plastic than anticipated. So what is happening to it? Is it just the fruits of cleaner ocean initiatives? Unfortunately, the answer may be grimmer. As the ocean currents carry plastic, it breaks down into smaller and smaller fragments due to solar radiation. As the plastic gets smaller, it is often mistaken as food by marine life. This plastic cannot be digested, so instead is stays in the stomach causing eventual starvation in the sea life. Smaller fish are eventually eaten by larger predators which push the plastic higher into the food chain. These microplastics are also a leech for pollution which causes further problems in marine life. Andres Cozar led the Malaspina Circumnavigation Expedition in 2010 that sampled water from 313 locations in the Indian, Pacific and Atlantic oceans at a variable depth of 6,000 meters. These samples were tested for temperature, salinity, gases like oxygen and carbon dioxide and other factors. The study was published in the Proceedings of the National Academy of Sciences and found that 88% of the ocean surface water contained microscopic plastics. However, this was considered strangely low. 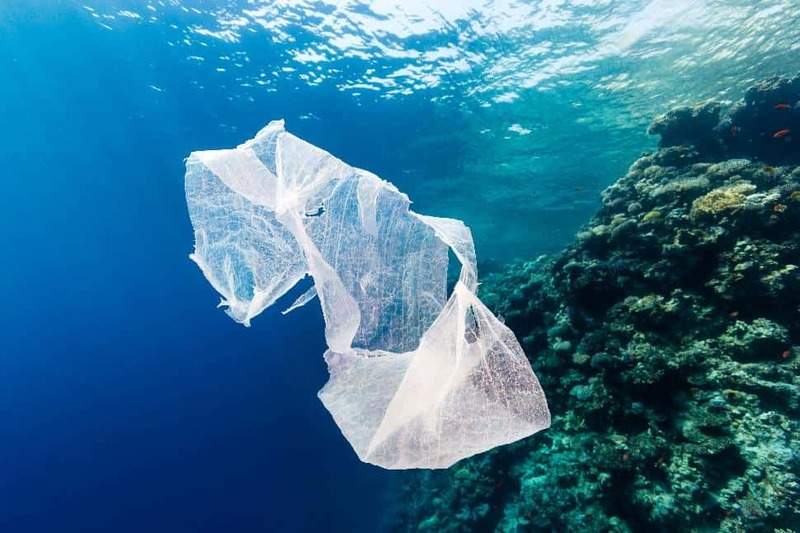 It is speculated that the plastic levels dropped either due to ingestion by animals, sticking to the exterior of marine life or because it has broken down past the point of detection. A further study is needed to determine exactly what is happening to the plastics and its effect on the ecosystem. However, if the study determines that the plastics are being lowered by anything other than a drop in ocean pollution spells disastrous consequences for the future.